DENVER -- Fifty years ago this week, students marched outside of Denver's West High School in what turned out to be a violent four-day standoff with police. The standoff started because the students were protesting racial insults from a Social Studies teacher directed at Chicano students. Next week, Denver will honor the life of César Chávez, an icon of the Chicano Rights Movement, who fought to bring rights to field workers across the country. Chávez is now honored with a holiday each year in the City & County of Denver. 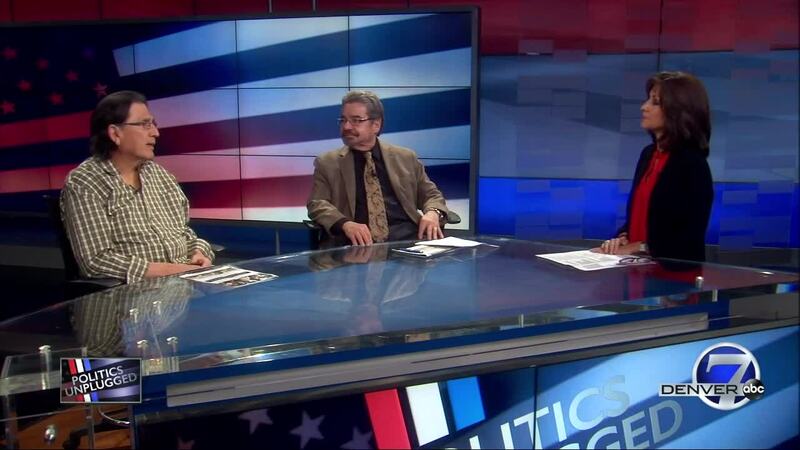 On this weekend's Politics Unplugged, Dr. Ramon del Castillo and Izzy Jaramillo of the Colorado César Chávez Peace and Justice Committee sit down with Anne Trujillo to discuss both of these events and the roles they have played in the development of Denver.